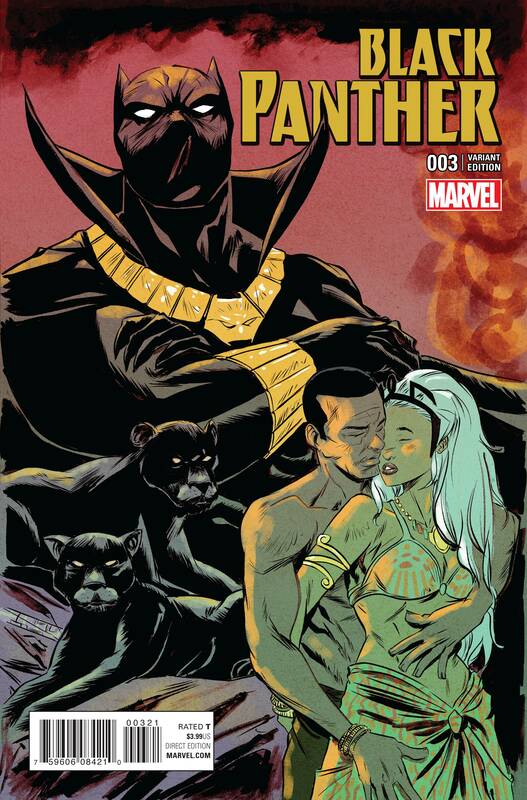 Artist Sanford Greene produced this run of variant covers for the first story arc of Black Panther written by Ta-Nehisi Coates. Several different artists did variant covers for Black Panther #1, but Greene was the only one to do a series for #1 - #4. Greene caught my attention from the first one. He presents an African couple holding and adoring their child, perhaps a young T'Challa. The second cover image depicts a young man, shirtless and wearing a traditional loin cloth. He's backed by warriors with spears and a larger image of boy or young man charging toward battle. The third cover image shows the young man from the second cover, slightly older, sharing a tender, intimate moment with a woman. Behind him is a large image of the Black Panther with his arms crossed looking forward. He's rocking a gold necklace with a panther emblem at the center, and two panthers rest in front of him. 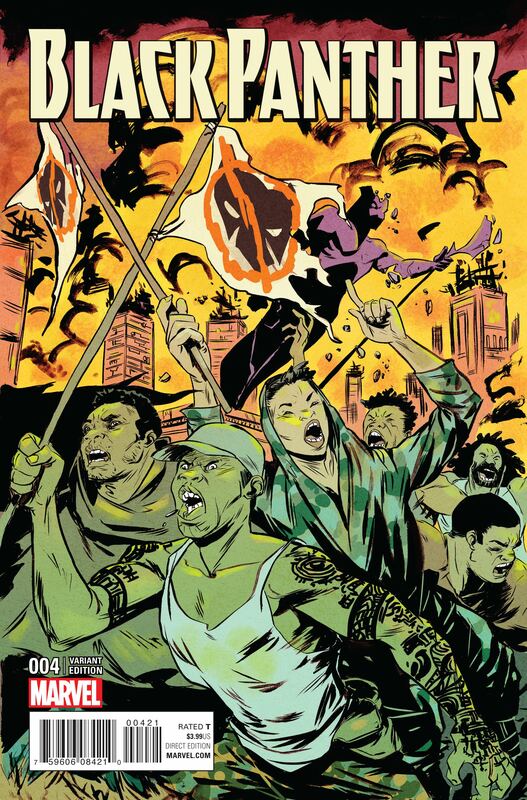 Finally, the fourth cover image presents the scene of a protest or uprising, as people are shown shouting and carrying anti-Black Panther flags. In the background, we see what appears to be a toppling Black Panther statue; a version of that falling statue was depicted in Brian Stelfreeze's cover for Black Panther #2.